At first glance, “Los Angeles Motorcycle Accident Attorneys” sounds like it might be some kind of new television show. However, it’s just a part of our law firm, a part that we’re particularly proud of. Los Angeles has so many great motorcycle riders. It’s a great city for riding a motorcycle, because it can help you to get around so much quicker due to all of the traffic. That being said, there are particular dangers when riding a motorcycle. Some of our attorneys ride and have ridden in the past, so we know what it’s like out there. In this article, we’ll cover some of the motorcycle accident injuries we see and we’ll also go over how we can help. We really can’t say enough about the thrill of riding a motorcycle. If you’ve never been on one before, nothing really does it justice. All of the clichés you hear about the experience: “it’s so freeing,” “you feel like you’re flying,” “it’s like you’re one with the road” and so forth may be clichés, but they’re clichés for a reason: they’re true. It does feel that way to be on a motorcycle. Those clichés have stood for decades because they’re a true, accurate verbalization of something that can’t be said with words. Riding a motorcycle on the Pacific Coast Highway with the ocean on one side and the mountains on the other has been an enduring symbol of American freedom for so long. Of course, riding a motorcycle also comes with many potential problems. When you’re in a motorcycle accident, you have a lot less protection than you would if you were in a car. You’re just by yourself on that motorcycle. Sure, you have a helmet, and you’re a particularly safe driver, but you can’t control every other driver on the road. Accidents happen. No matter how careful and conscientious you are, an accident can occur while you’re riding your motorcycle. If that should happen, you deserve to be compensated when the other person has wronged you. We’ve helped so many clients over the years to get compensation for the various injuries they’ve suffered while riding their motorcycles. For example, we’ve seen too many severe injuries to their limbs, bones, and more. 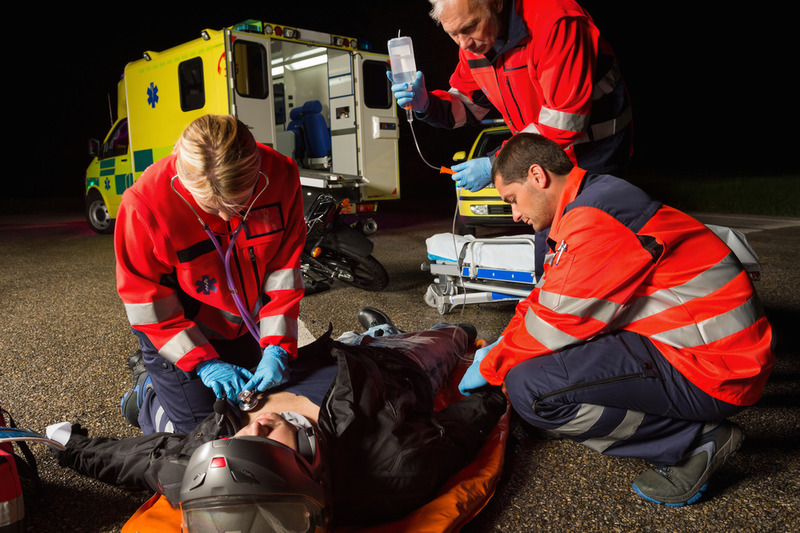 Most people who don’t ride fail to realize the kinds of after effects that can come from being in just a small or low-impact accident while on a motorcycle. Even those can lead to lasting pain and so much more. When that happens, you deserve to be compensated for it. You shouldn’t have to suffer in pain and just hope to get better. That’s where we can come in. One of the most pernicious myths about motorcycle accidents is that, for whatever reason, when people hear that there’s been a motorcycle accident, they tend to believe it’s the motorcyclists fault. Really. There have been studies about this. When there’s a motorcycle accident, it seems like folks naturally believe that the motorcyclist might be at fault. There’s no real clear theory on why this is the case. It might be that people just assume that the motorcyclist, as their vehicle can turn differently from a car, could be able to avoid the car, but no one’s quite sure. It’s important to remember that actually, in motorcycle accidents, the cyclist is not the one at fault. To repeat, in a majority of motorcycle accidents, the motorcyclist is not at fault. That means that the other person in the accident is at fault. And that means that, should you be a motorcyclist that’s in an accident, then the other person is probably at fault and you deserve to be compensated for it. Our experienced investigators and attorneys can piece together what really happened. We can go over the evidence and determine the real truth. Many of the kinds of motorcycle accidents you might encounter are similar to type of car accidents, except for the motorcycle itself. A motorcycle can be a bit more susceptible to road conditions than a car might be. We’ve had plenty of clients over the years that were in an accident in their motorcycle and it seemed like they were at fault. They were riding along the road; suddenly they lost control of their bike and hit someone. For all intents and purposes, it seemed like they were unable to control their vehicle and thus liable for the accident. However, once we began an investigation in earnest, the facts told a very different story. It would turn out that the road had been ill-maintained by the local authorities. They had said they were going to fix the roads but failed to do so. Or, in another circumstance, they had said that they had fixed the roads, only to have not done it or to have done such a subpar job it was like the roads were never fixed at all. So, it turned out that our motorcyclist client was liable, as the accident really wasn’t their fault. That’s just one more example of the power of our investigative professionals. We can bring that same level of professionalism and attention to detail to your case. Many of our motorcycle accident clients have been injured in head-on collisions. That means that another vehicle hit them or they hit another vehicle. We can investigate to see what truly occurred. The same goes for accidents where our clients were hit by a driver who made a left hand turn and just didn’t see them until it was far too late. In southern California, where many of the left turns are of the hairpin variety, that’s an all too common occurrence. In fact, many of the motorcycle accidents that we encounter are caused by a driver of a vehicle that’s not a motorcycle simply not paying the close attention to their surroundings that they should be. Far too many times we’ve had a client that was hit by a bigger vehicle simply backing into them. Maybe they were at an intersection, maybe the bigger vehicle was coming out of a parking lot or driveway, but they just didn’t see our motorcyclist. Of course, we’ve dealt with so many cases where the driver who hit our motorcyclists was drunk or under the influence. We’ve managed to get our motorcyclists the kind of compensation they deserve in each of these kinds of cases and more. One other cause of motorcycle accidents that we’ve helped clients with in the past is when their motorcycles fail them. This is unique to motorcycle accident cases, but many times the motorcycle itself will malfunction, through no fault of the driver, leading to an accident. That means that something is wrong inside the motorcycle and causes the driver to be injured. It can be tires that are faulty, safety systems that fail, and more. Sometimes, even the motorcyclist’s helmet is wrong and fails them, which can also lead to injuries, pain and worse. When any of these instances occur, it’s not the fault of the motorcyclist. It’s the fault of someone else, who should be made to pay compensation to the motorcyclist. That’s the kind of thing that we can help with. When you’re injured in a motorcycle accident, nothing is easy. You might be in extreme pain for an extended period of time. It can be difficult to go to work; it can be difficult to do anything. When this occurs, you deserve to have experienced attorneys who have been through motorcycle accident cases before. For a free consultation figuring out how we can help your case, give us a call at (818) 210-4558 or head to our site. The professionals at the LA Injury Group are here for you.